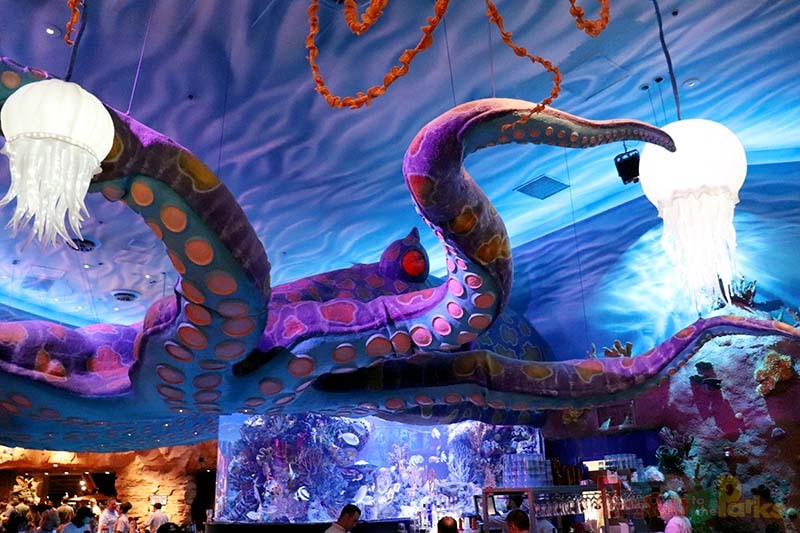 We have been dinning at T-REX for over 10 years and have had the pleasure of sitting all throughout the restaurant. We have dinned in the forest, by the raging fire and even under a giant prehistoric squid, but one experience has escaped us after all this time. Now finally, after all these years, we had the pleasure of dinning in the “Ice Cave”! 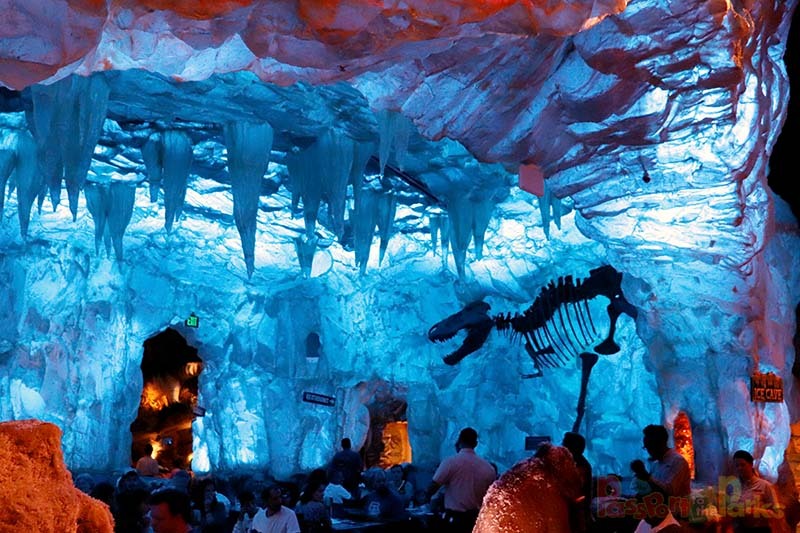 Located in the center of the T-REX Restaurant, the ice cave is a large, beautiful cavern made of glowing blue crystal and ice. 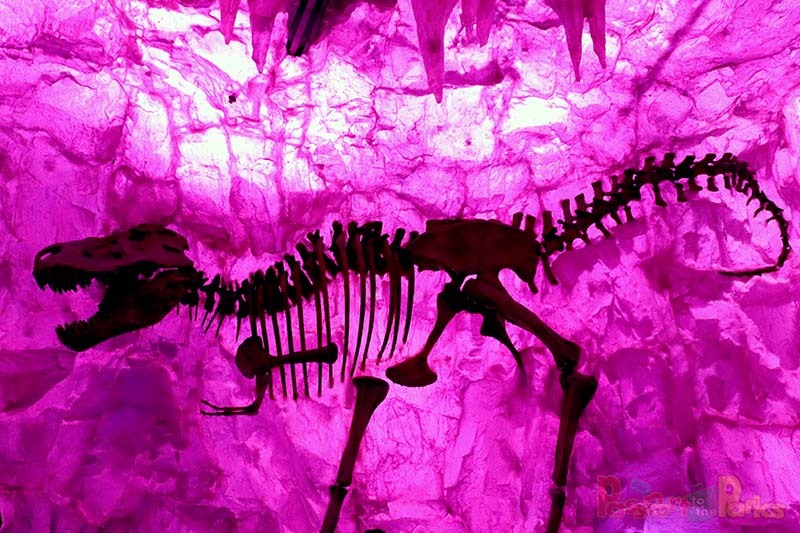 Dinosaur bones are embedded in the walls after being frozen in time. 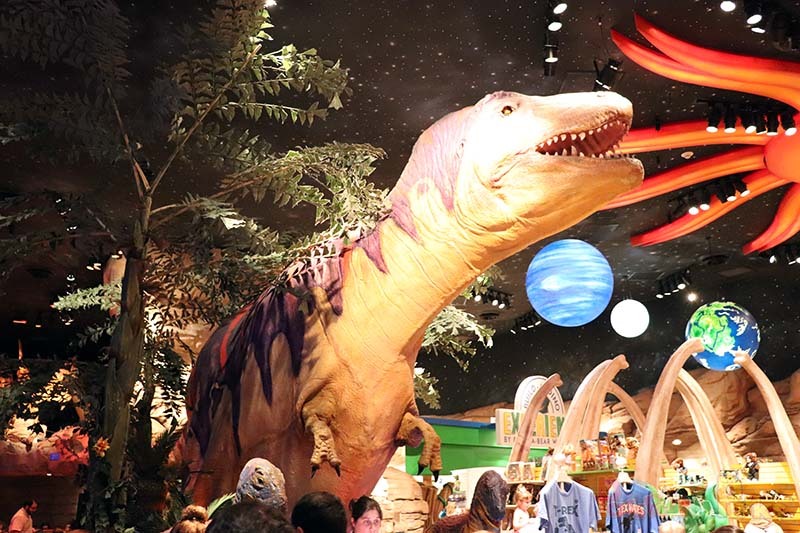 T-REX is famous for having meteor showers during dinner, which turns the ice cave from cool blue to a frightening red. Surrounding the ice cave, we find many different species of dinosaurs roaming free throughout the prehistoric jungle. They get very restless when meteors begin to glide across the sky and crash into the earth. 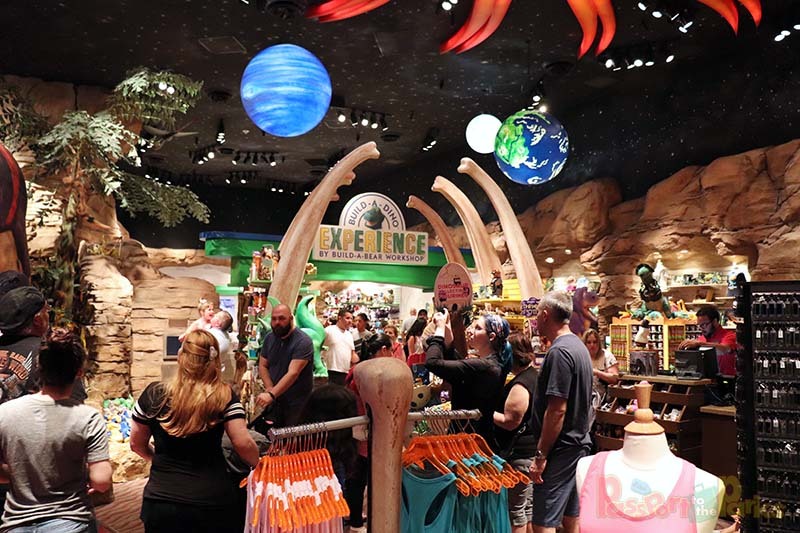 The atmosphere at T-REX is an adventure through time that keeps your jaw dropped wide open as you gasp at the scale of these amazing creatures. 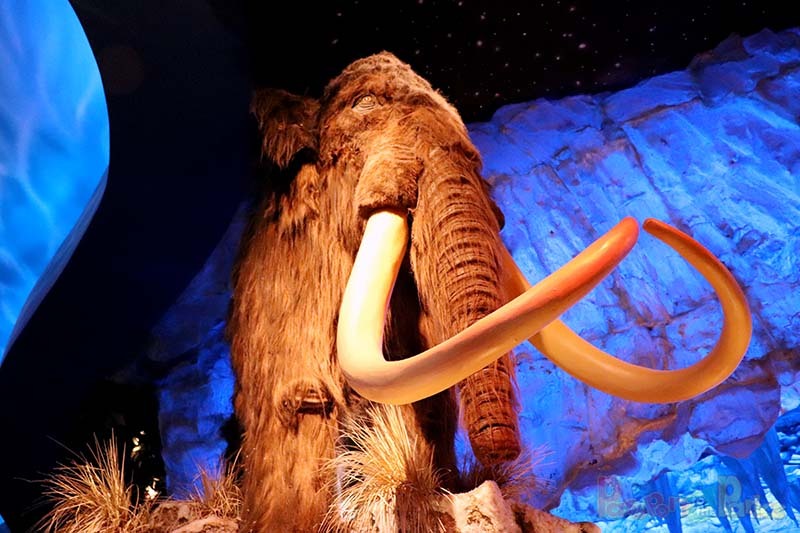 It’s so much fun feeling like a Neanderthal, but even cave men and women need to eat…and the food is certainly something to sink your teeth into! Check out the FULL MENU. I had the pleasure of dinning with both of my parents visiting from Ohio and my 10 year old daughter, Cammi. My dad and I both decided on ribs, while my daughter and her grandma split a mouth watering steak. Remember we are in the ice cave, so everything has a bluish tint. The “Mega Mes-O-Bones” came with eight bones packed with meat. They were coated in a sweet and tangy barbecue sauce that tasted even better as I licked it off my fingers. The meat was so tender, it was falling off the bone with each bite. 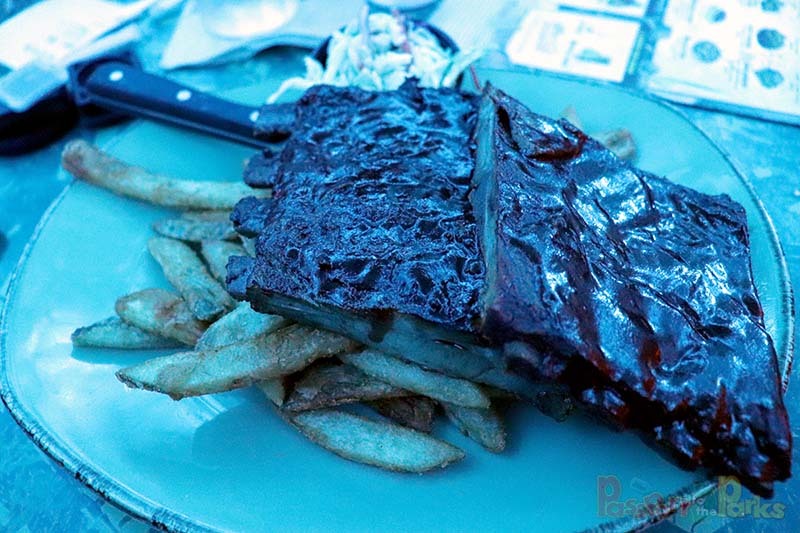 The rib slabs were laying on a large portion of crispy steak fries and to the side was a delicious cup of homemade coleslaw. This is definitely one of my favorite restaurants to enjoy a good plate of ribs. My mom and daughter loved their “New York Strip” steak, smothered in butter. When I asked how it tasted, they both replied, “heavenly”! 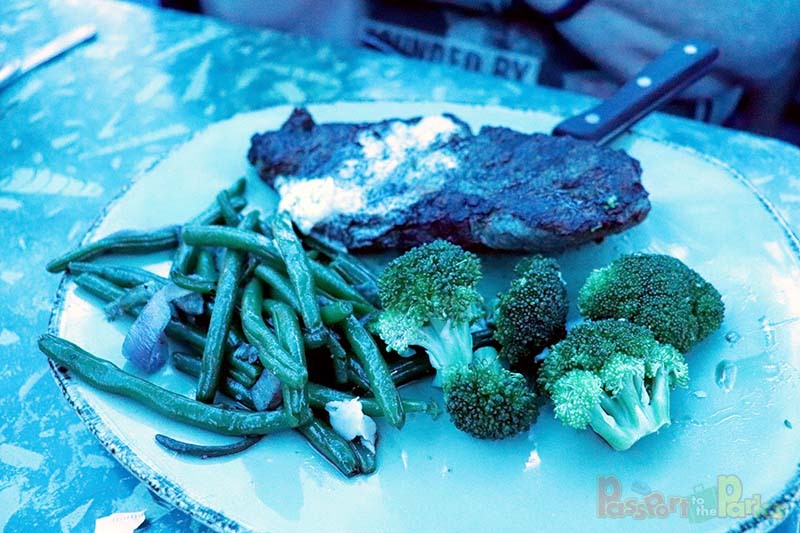 They enjoyed some delicious broccoli and green beans, along with a large side of those crispy steak fries. I wish I could tell you how dessert was, but considering we couldn’t even get through our ginormous meals…dessert just wasn’t an option. 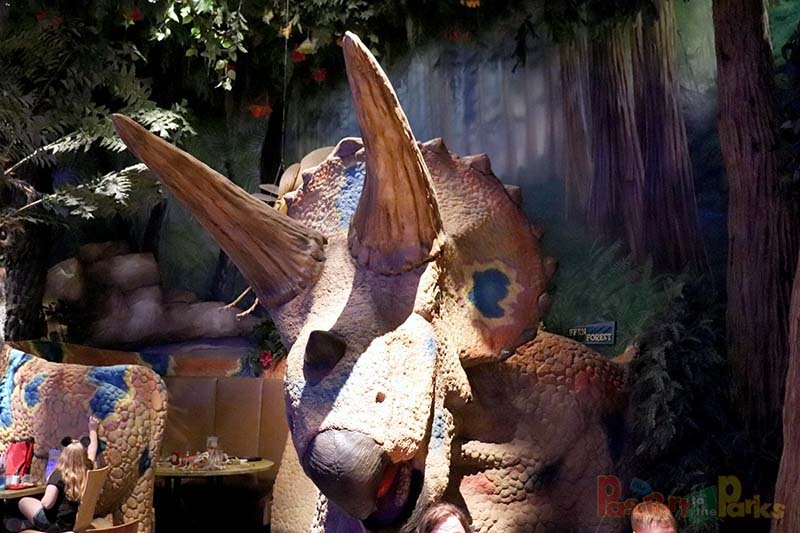 Dodging meteors, avoiding dinosaurs and eating like a caveman is tremendous fun, but it’s not all that T-REX has to offer. We always take advantage of the wild storefront, filled with clothing, jewelry and dinosaur related items. Cammi loves the “Build-A-Dino” Experience. 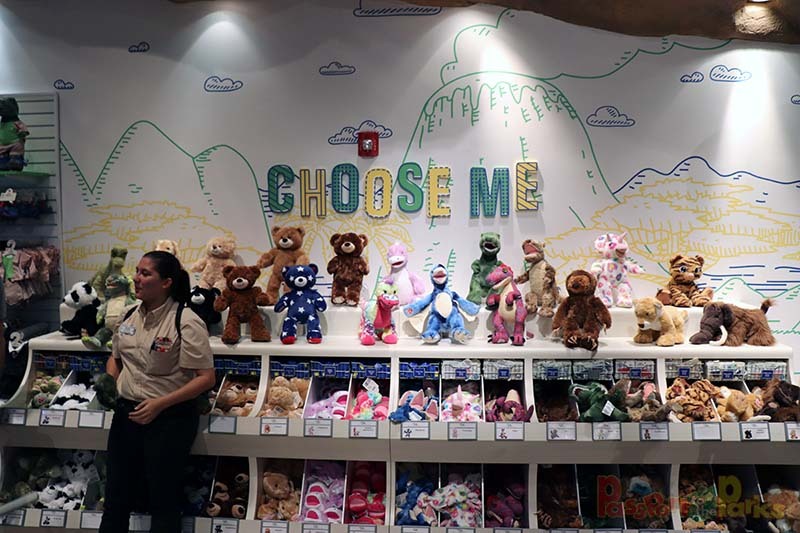 Similar to Build-A-Bear, you can pick your favorite dinosaur, stuff it, then dress it up. We have at least four or five at home. Cammi also loves “The PaleoZone” dig site located out front. 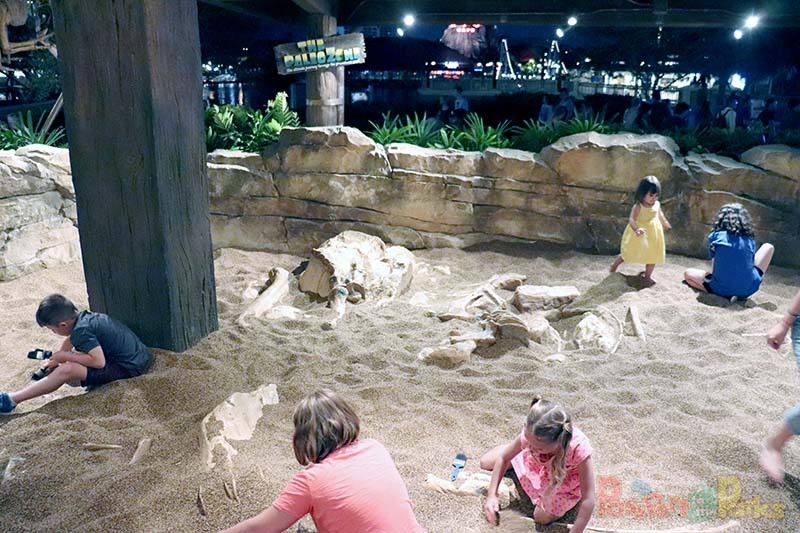 Grab a brush and uncover some prehistoric bones. There may be some future archaeologists having some fun in the sand! Like I said before, T-REX is my favorite restaurant at Disney Springs and one of my top five favorite restaurants on Disney property. My family has been coming here for years and will continue to do so for many more. I am personally so happy to have finally eaten in the Ice Cave. I loved it, my family loved it and we can’t wait to get back again soon! 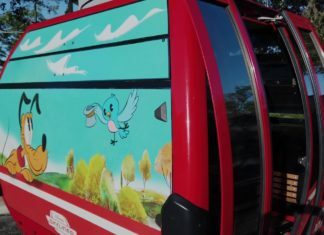 Make sure to follow along at PASSPORT TO THE PARKS for more awesome food reviews!